Photos of Crown Point, Indiana, located in the heart of Lake County, just west of I-65 and south of US 30. Locally known for it’s historic court house and square, downtown Crown Point is a growing and thriving community located just a short distance away from the City of Chicago and the shores of Lake Michigan. The City of Crown Point was recently named as one of the fastest growing suburbs outside of Chicago, one of only two Northwest Indiana cities to have made the list. With plenty of activities to do for all ages, Crown Point has many dining options including upscale fine dining options along with casual family restaurants and other national chains. Spend an evening at the Lake County Fairgrounds enjoying a night of bright lights and cotton candy, or take a bike ride on one of many bike trails located within the city. 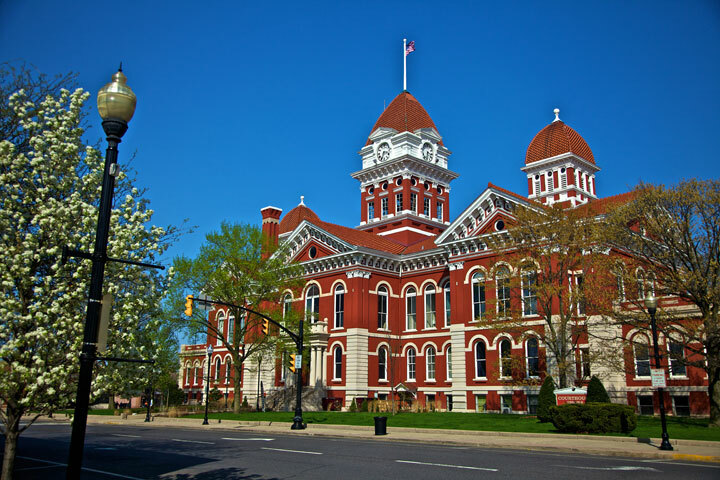 Popular photos of Crown Point, Indiana include the Old Lake County Court house, the historic downtown Crown Point square, the Lake County Fairgrounds, Crown Point High School, and many other locations. Photos of Crown Point, Indiana are available for purchase as prints or to download and use for commercial purposes. Please read the licensing and copyright information regarding using the photo for commercial use. © 2012 Joey B. Lax-Salinas, all rights reserved. For more information about licensing this photo for commercial use, please visit www.northwestindianaphotos.com/licensing_information/.